We offer wonderful and lifestyle enhancing orangeries to our customers in Romford and Essex. These stunning orangeries are luxurious, creating a beautiful space that will suit both contemporary and period homes. They offer the possibility of creating additional space without the challenges associated with traditional extensions. Your home will be enhanced by the extra room, light and space that our orangeries provide, making them both functional and an enjoyable living space. Combining the classic design of a conservatory with a traditional brick extension, the orangery provides lots of light, enhanced views, superior efficiency and greater privacy. Give yourself peace of mind with a stunning new room. Our range of orangeries is exceptional at combining the best of both worlds, whilst also being cost effective and affordable. We pride ourselves on offering our customers with solutions to your home improvement spaces. Read below to find out more. 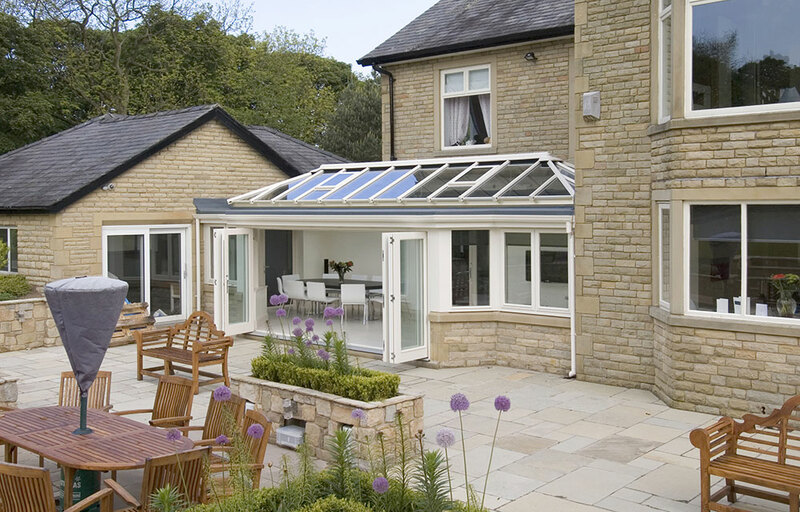 Each orangery we offer combines the best of an extension and a conservatory. Our delightfully designed brickwork will complement your home creating a feeling of stability and warmth. The extensive glazing enables light to flood into the room, giving you a sense of space, and luxury contemporary living. Our wonderful orangeries create a functional, modern and fresh living space that you can use for any number of activities. They make fabulous family and entertaining spaces, adding useful and enjoyable depth and dimension to your kitchen, dining room, or family room. 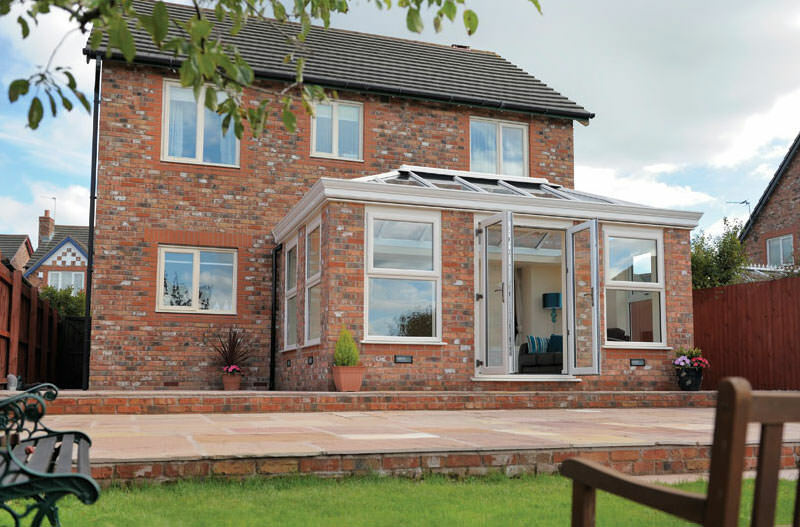 With a multitude of purposes, our orangeries are ideal for any home! 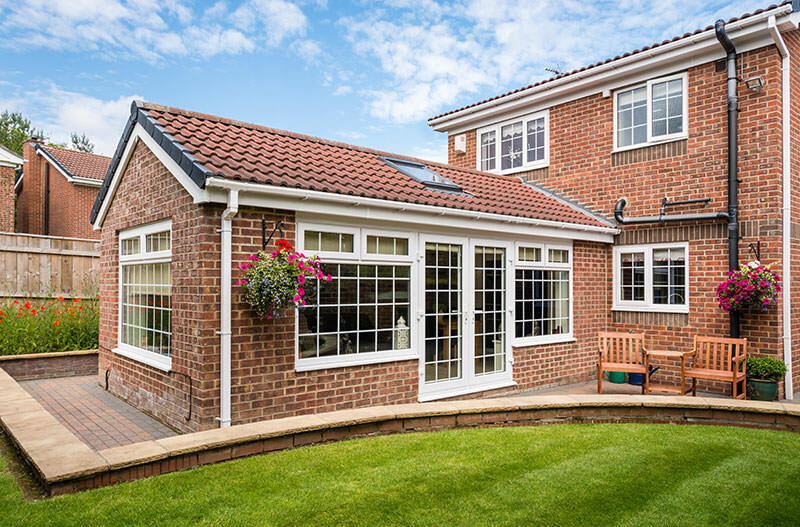 When you are looking for extra room, light and space from your home improvement in Romford and Essex, yet you prefer the look of a brick extension, then an orangery will give you the incredible transformation that you dream of. The clever construction ensures that you will be able to use your orangery all year round, it will never be too hot or too cold. Due to the design of our orangeries, they offer a completely versatile space for you to enjoy in any way you want. They will add value to your Romford home and much more cost effective compared to a standard brick-built extension, yet still provide you with all the benefits and options of a traditional extension. More modern conservatories and extensions are just as exceptional at brightening up your home than our orangeries are. However, one aspect that can render a room unusable glare from the sun. This is where our orangeries come in. With a construction of more brick than glass, orangeries provide superb protection from the glare of the sun while still allowing you to enjoy the benefits associated with a conservatory, giving you an excellent amount of light and space. Orangeries allow you to control the temperature of the room in your Romford home, so that you can use it throughout the year. Due to the solid wall construction, you are able to have cavity insulation which provides plenty of comfort in the colder seasons. In the summer, our precision engineered roof vents allow you to control air flow, creating a cool and comfortable space. Whereas in the winter, the brickwork and double glazed windows are exceptional at trapping heat inside your home, gently warming it. The standard orangery features beautiful floor-to-ceiling glass windows with a stunning lantern style roof. This is a different look to the sloping roof of a conservatory, which connects directly to the side-framing. A lantern roof is a variety of skylight which is a popular addition to modern orangeries. It allows light to flood in from the ceiling, making your space brighter and warmer, while looking impressive and opulent from the outside. Our orangery prices in Romford and Essex reflect our commitment to excellent customer service. We offer highly competitive conservatory quotes for free, simply visit our online quote calculator or contact us. To hear more about the range of orangeries, give us a call on 01708 723131 and talk to our experts today! They are on hand to ensure you are getting the best advice and high quality information so that you can make an informed decision. If you’d like to get a quick quote for your new orangery, use our online quoting engine today! All you need to do is provide us with a few measurement details and we will give you a free, no obligation quote. Use our quoting engine today to get a quote! Alternatively, send our friendly team of experts an email using our online contact form! It’s quick, easy and will go directly to the team. You will get a response back as soon as possible, with detailed answers to your questions and queries.